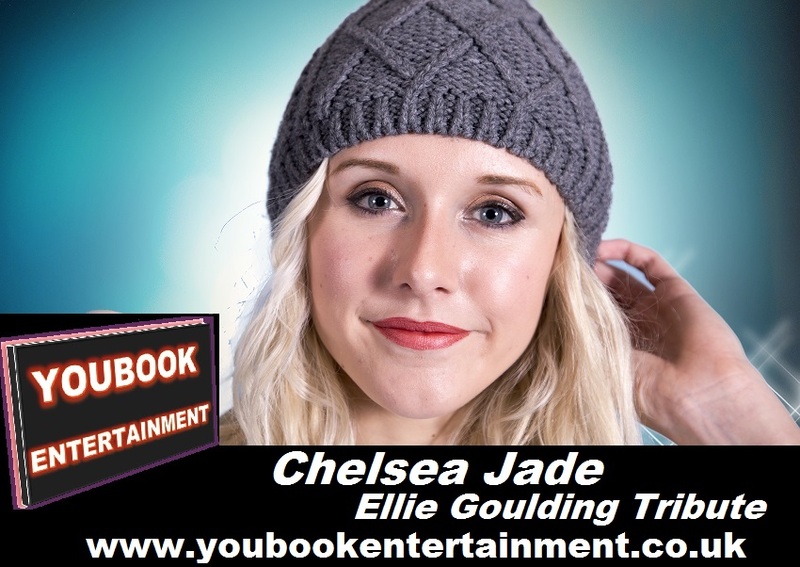 Chelsea Jade Ellie Goulding Tribute - You Book Entertainment - Hire Quality Entertainment For Any Event, Wedding, Party or Venue. Get your listing now too. The Ellie Gouding tribute by Chelsea Jade is one of the finest reproductions of one of the UK's ultra modern singing sensations Ellie Goulding! Including all of Ellie's hits such as "Love me like you do" "Burn" "How long will I love you" and many more! ​Recently Jade has performed at the Ellie Goulding Deichman UK brand laucnh at teh East Midlands conference centre and has also performed the tribute at the HCA London, and also appeared in one of Ellie Gouding's actual music videos. ​Chelsea Jade has experience with over 10 years of performance theatre and stage.